L-email gave me the option to choose, so I decided to give this model a whirl. Why in particular? These kinds of wigs give you more bang for your buck, for those cosplayers on a budget (such as myself). This is better explained in my Youtube review, but these wigs are a two-in-one. 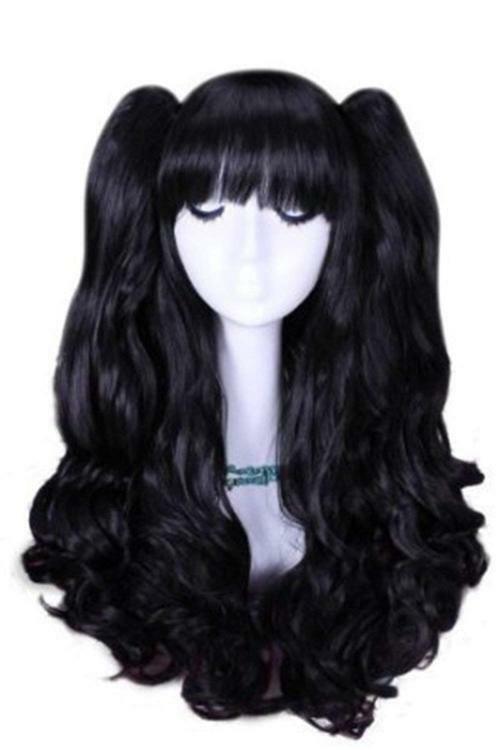 The “base wig” (where you clip the ponytails) is a standard long curly wig. You can use this base wig for other characters of your choice, and when you need the ponytails for another character you can just clip them on and ta-da! You have another wig. The package arrived between 2-3 weeks after placing my order, which by Mexican postal standards is pretty excellent. Most of my wigs have taken around a month or two to arrive, so I was very much taken aback (in a good way) when I saw the mailman standing outside of my door! The wig was packaged in a plastic bag with L-email’s logo and slogan printed on it, and that bag was within a bubble envelope. It was pretty well protected (greatly appreciated!) Within the bag was the wig itself, a wig cap (thank you!) and a little flyer for their Halloween sale! The wigs were wrapped in what I can best explain as wig netting (I’m not sure what the name is), used to protect the wig from tangling within the packaging. 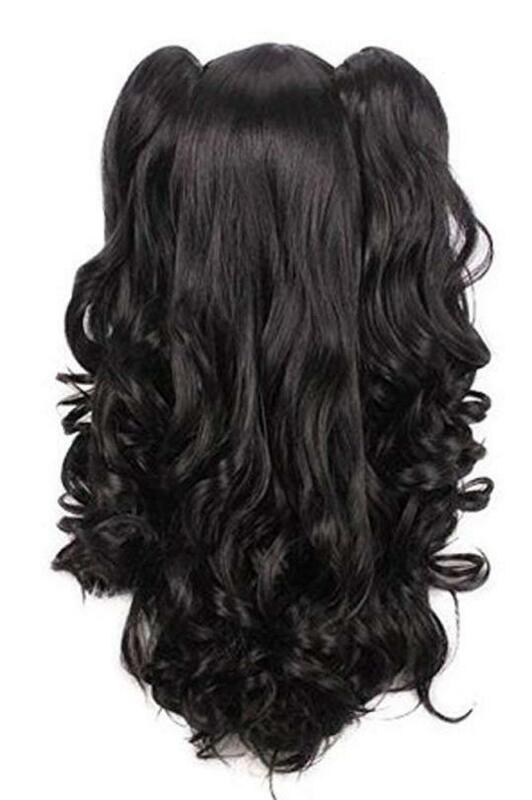 Don’t throw these away, keep them to store your wigs!! The wig is quite thick! At first I thought the wig was on the thin side when I looked at the curls (the curls are thick, hence making the wig itself look “thin”), but when I had the chance to straighten the base wig I noticed that the thickness was quite good! It’s not a super full wig, but it’s enough for it to look good. In fact, the thickness of the curls was such that I had to style it a little so it would flatter me more. XD I did not experience shedding at all, something I experience all the time with wigs from Wish and Aliexpress. This may have more to do with the color of the wig (given that it’s pitch black), but in photography it did give of a little bit of shine. But this kind of issue is resolved easily by putting some baby powder on the wig. This helps kill the shine and makes it look better. Even with the amount of shine, it still managed to look like a nice wig. On the website the ponytails appear to be shorter on the model. Maybe it has to do with her proportions (given that her neck is quite long compared to mine), but I guess this difference actually works in favor of L-email because it’s a LOT thicker and longer than what it looks like on the model. I think it’s important for the website to update this to make the wig a little more popular. Overall I’m incredibly content with the wig! Would definitely recommend it to a friend and I will most definitely be using L-email’s wigs again! 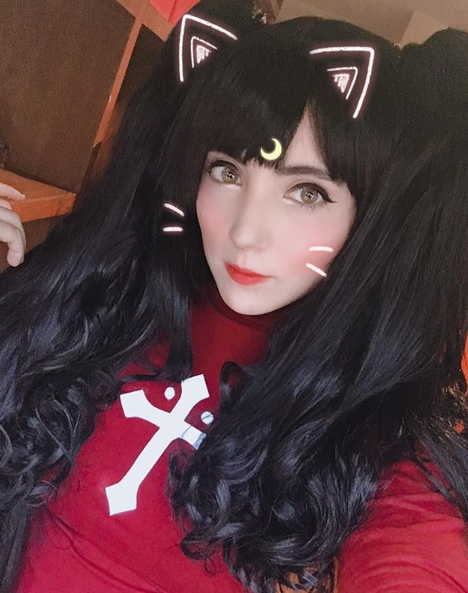 This entry was posted in Buy Cosplay Wigs, Fashion Wigs, L-email Wig review, L-email Wig Sponsorship, Wigs.